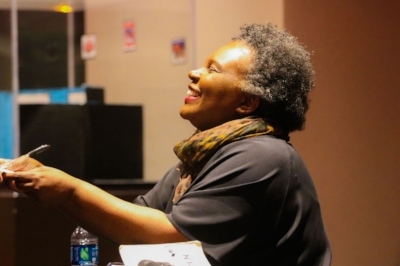 Adult Forum - Claudia Rankine's book "Citizen"
Experience of Being Disinherited: Claudia Rankine’s Citizen in the Chapel upstairs. St. B's Forum will join Denver’s conversation with race, using Howard Thurman's concept of the disinherited. We will consider the experience of oppression as expressed in the 2014 book Citizen by Claudia Rankine. No need to read the book to participate in discussion. More information can be found at denvertalks.org. Our conversation will look at where people of faith are called to show up as our society struggles with these difficult questions of privilege and social responsibility. This conversation will continue on posted Sundays if participants desire. You can also RSVP for this event (and others) via our Meetup group.